Namecheap had an outage, so I guess I will now try them! Have you ever thought of trying a service AFTER you heard about an outage it had? Well this is what happened to me after I read a post by Namecheap explaining, in detail, how the outage they had happened on November 13 and the steps they plan to take to ensure this does not happen again. Now Namecheap is on my shortlist of registrars to try in the next few months as a secondary domain name registrar. I really like it when companies are transparent about a problem they had and they take full responsibility. That is even if the problem was problem was not 100% their fault. I like it when they seem to know exactly what went wrong and they explain how they will fix it to ensure it never happens again. I don’t like it when some companies don’t even acknowledge there was a problem and sometimes blame their customers. Companies should also listen to their customers and it is not the first time that Namecheap does something similar. So, I guess the geek in me found the post below really exciting! I like NameCheap because of their prices and interface but the outage worries me. All online companies have outages. Even YouTube recently had one. GoDaddy has small or bigger outages every once in a while. Sometimes you can’t login, sometimes domain auctions are down, etc. It is normal. The difference is how you communicate the outages and what you do to reduce them and become better. For example someone from GoDaddy may acknowledge a problem but I don’t remember a formal explanation of an outage and more importantly I don’t see them trying not to see the same thing happening again. Not having a bulk export function would be a deal breaker for me. Just to add they handled it the best they could and nowadays it’s rare that the truth about these things comes out. It looks like they’ve held their hands up, honest and sincere reflection and positive change. Props to that! As a person who values customer support and business ethics, I’m glad to see NameCheap being transparent and taking full responsibility of the issue. Yet the sole reason that I haven’t registered a domain name with them is their brand name. 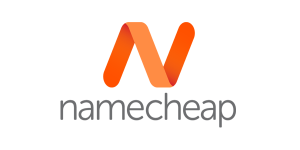 Personally, “NameCheap” doesn’t sound professional to me. Just my two cents. I have recently started using their hosting for one of my new projects. I liked the interface and the quick support I got for a small issue. I like them but prices are higher than other places and I don’t believe they offer free forwarding? They do offer free forwarding and free DNS, everyone does these days. They dont have any sort of bulk configuration (i.e. if you’d like to change name servers for multiple domains at once). They dont even have the full list of domains you could save/convert to excel/whatever if you keep bundles of domains with different registrars and want to keep track on them manually – the list is a “download after, remove before” type of page, very annoying. I dont know much about NameCheap but back to the original topic of your post here. I agree with you. The way they stated everything about their outage, apology, explanation, and further solutions to guarantee this will not happen again was nothing short of first class. Kudos to NameCheap for such stellar communication after an issue. Very cool of you to highlight this Konstantinos.